There are 23 reviews of Do Son Eau de Parfum. THIS Do Son (the EDP) nearly had me running and screaming from Do Son (both the EDP and EDT). Thankfully, someone offered me a sample of the EDT, and my relationship with Do Son was salvaged - they really are two different scents - at least to my nose. 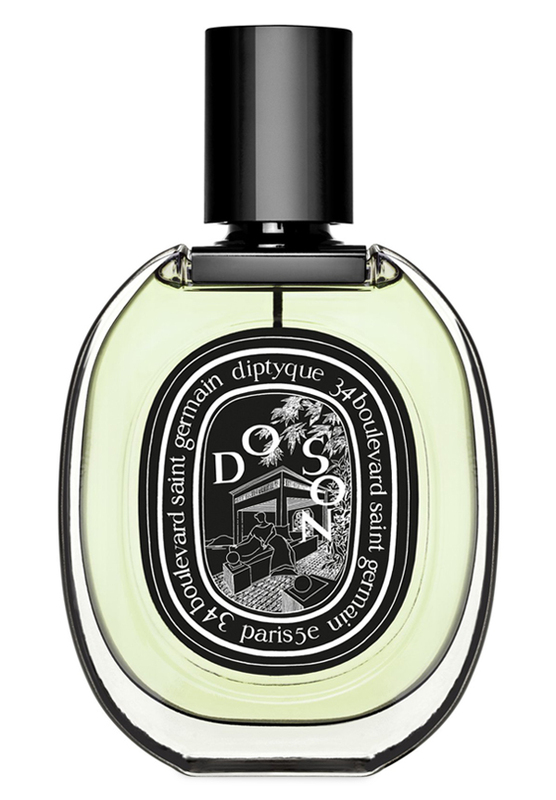 The EDP is a juggernaut of a tuberose and is nearly assaultive in its march up my nostrils. The other notes are normally wonderful - particularly jasmine - yet none seem to play quite well together - more like an assigned group project in middle school. If the EDP doesn't thrill you, try the EDT - and believe it or not it lasts - I can still get some whiffs of the spray I placed on my left wrist last night. For an EDT, that speaks volumes! A draw back to Jasmine Indol just about saves this scent from the Chalk of Orange Blossom and Creamy Tuberose Suffocation.A background of scratchy Wood cuts through some, however a quick scrub and spritz of Sarrasins fills my lungs and brings me back to the Light. Do Son makes something fantastic with tuberose: it's fresh, not sweet. It has acidity. It's nearly marine, salty. There are other white flowers, like lily of the valley. Longevity and sillage are good! I think I'll try to get a full bottle. The opening goes straight into what is the core note of this whose creation: a tuberose that is not somber, fat and waxy, but is more on the brighter and lighter side. Added componeents are a nice orange blossom with some rose, and that all is underlined by a good lashing of benzoin; this altogether transiently takes on whiffs of a lipstick characteristic at times. The middle note that is most evident is a slightly rainy pepper impression, and in the base a white musk is appearing very faintly in the background. I get moderate sillage, adequate projection and six hours of longevity on my skin. Overall well made but a touch unexciting, it just crosses the line to a positive score by the skin of it's teeth. Nice for a spring day. 3/5. Opens with a big floral note that reminds me of when I walk into a florist shop. It seems to be more of a mix of floral than any particular floral note. There are subtle floral changes in the drydown, but it stays all flower shop, IMO. A nice scent, but definitely not something a man should wear. I want something more masculine. Neutral. Do Son is a tuberose 'soliflore' for those who don't care for big white floral soliflores. This fragrance slightly shifts niche, aimed at those who want more green and air in a BWF. It opens mostly floral and develops a greener tone as it progresses. By the time the heartnote emerges, it is a cool green floral, smooth and naturalistic, with Lily of the Valley notes. 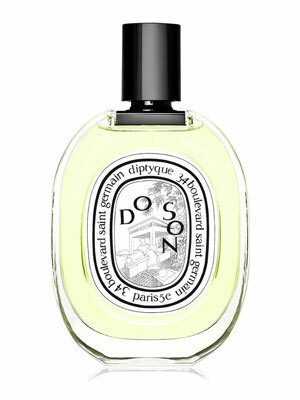 The tone in Do Son is primarily green, creating an outdoor floral feel. It becomes somewhat lily-like, the fragrance you encounter in the florist's shop near the oriental lily cooler. Carnal Flower and Fracas have a warmer, buttery quality to them. Do Son stays cool and light. It is a BWF I can handle without feeling I'm in a bridal boutique. Even so, it is not exactly my style, preferring roses and darker whites, so I wouldn't wear it often. Nevertheless, wear it I can, which is an accomplishment. Diptyque Do Son .06oz New In Box eau de parfum. Trial Size. There are no member images of Do Son Eau de Parfum yet. Why not be the first?